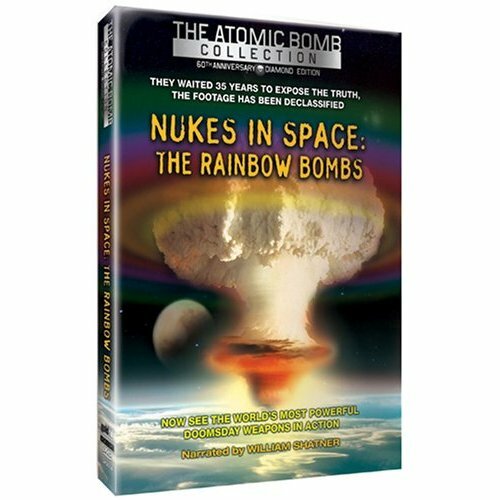 "Nukes in Space" provides an interesting overview of the development of the military space program of missiles and space-based nuclear weapons testing with spectacular, never-before-seen images. Starting with the V-1 and V-2, this film takes you through missile development of ICBM's with nuclear warheads, the Cuban Missile Crisis through anti-ballistic missile systems and what implications the they hold for the future of our nation's security. During the heart of the Cold War, the United States and the former Soviet Union launched and detonated a combined total of over 20 thermo nuclear weapons in the upper atmosphere and near space region of earth in an effort to test the effects of launching an offense as well as countering an offense. Even during the Cuban Missile Crisis! Almost unknown to the public, much of the information on theses tests has been kept secret for over 35 years until recently, when newly declassified test footage and secret government documents obtained from both countries reveals everything from the ICBM to outer space testing to ABM.